The death toll from cyclone Idia that devastated Mozambique and Zimbabwe has risen to more than 350. Rescuers are racing against the clock to help evacuate survivors from the region. Heavy rain has swelled rivers and further isolated flooded communities in what aid agencies called the worst natural disaster in southern Africa in two decades. “We already have more than 200 dead, and nearly 350,000 people are at risk,” Mozambican President Filipe Nyusi announced, while the government in Zimbabwe said around 150 people had died but the toll could be triple that figure. The provisional death toll figures are expected to rise significantly, as rescuers and aid agencies work through the destruction of the cyclone to rescue some of those trapped and to work through the dead bodies buried in the path of the cyclone. 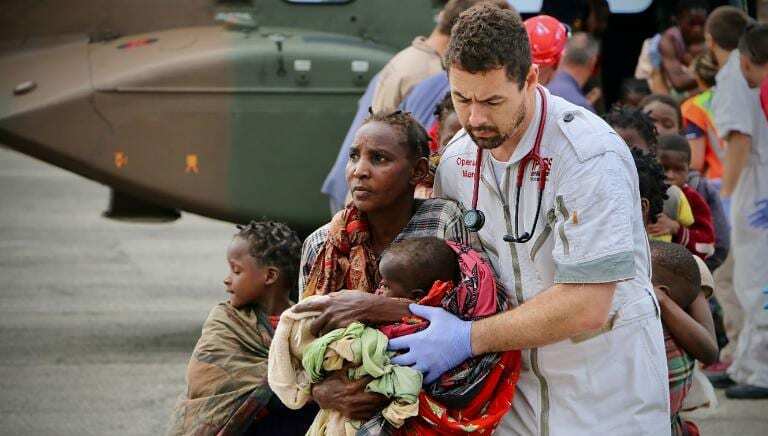 In Nhamatanda, Mozambique, some 60 kilometres (40 miles) northwest of Beira, 27-year-old Jose Batio and his wife and children survived by climbing onto a roof. The city of Beira has a population of 530,000 and took the brunt of the cyclones force. 90% of the city has been devastated by cyclone Idia and four days later huge parts of it are still cut off from the rescuers who scrambling helicopters and boats to somehow to reach the trapped and wounded. In Zimbabwe school students of St. Charles Luanga were rescued by members of the Zimbabwe Military, who were perched in trees moving to higher ground as the tropical cyclone Idai barrelled across the southern African nations with flash floods and ferocious winds. The government declared a national emergency and ordered three days of national mourning. Some sources suggest the death toll will rise to over 1000 in the coming days and the displaced and affection region will impact almost 500,000 lives. So far, it has dispatched more than five tons of emergency provisions to the affected areas.